Even though the weather was cloudy, sometimes raining and sometimes sunny, nothing would deter a few die hard members from accomplishing their mission – to sell onions!! 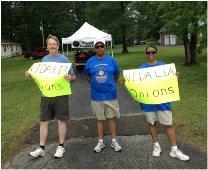 The club ordered 60 extra bags of onions with hopes to raise even more money to continue funding their many projects. And sell they did! They were able to sell approximately half of their extra bags by waving signs and flagging down automobiles – anything to get people to stop and purchase a bag of onions. 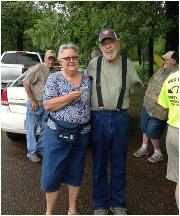 Club members also supported a fundraising event for Mr. Bud Harris, a long-time resident of Middleton, who has been diagnosed with cancer and is no longer able to work. The club donated $100 to Mr. Harris to help defer the cost of medical bills, as well as travel to and from the doctor. One of our members, Mike Cunningham is an executive director with the YMCA. He was the founding director of the Cordova YMCA since its inception in 2010 and allowed the Cordova Civitan Club to meet at the Cordova YMCA. In 2013, the Cordova Y was asked to pilot a SNAAP program for special needs teens. 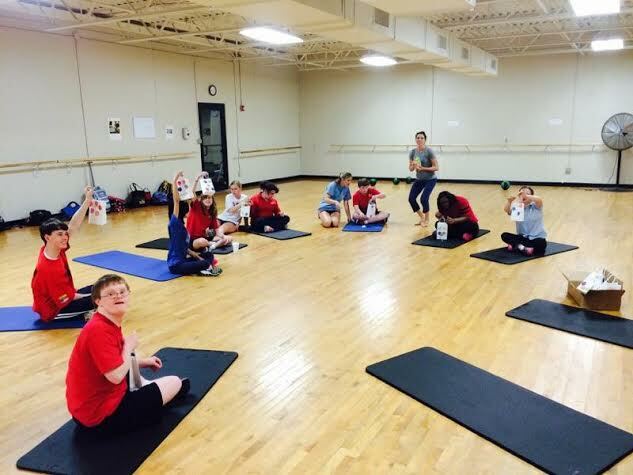 SNAAP is Special Needs Aquatics and Athletic Program-designed to help these athletes gain self-confidence and strength and to enhance fitness and endurance in a safe, supportive atmosphere. Our club was excited to support Mike and the Cordova Y in this venture by contributing $1000 to help launch the program. 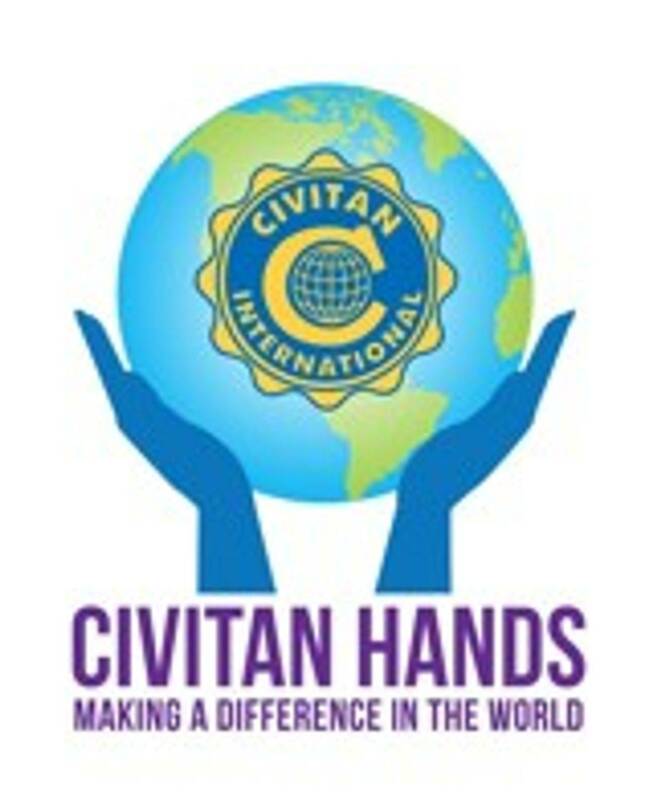 In addition, through the efforts of one of our members, Dossett Foster, we were able to further support the program with a grant from Civitan International for $500. Today, under the direction of Brian McLaughlin, the new executive director for the Cordova Y, (and a new member of the Cordova Civitan Club) and Jimmy Corrigan, director of the SNAAP program, this program has 2 paid staffers and 4 volunteers who work with a group of 14 athletes, ages 14-18. Each week, they guide them through a variety of exercises, drills and strength training. To date, the program has been mostly land based, but the goal is to expand to include a full water component in the fall. Since, the program began; they have grown and expanded, including the creation of a partnership with Madonna Learning Center-a “private, independent and faith-based school for children and young adults with disabilities”. In 2016, they hope to run SNAAP as a class through the MLC School, in addition to the program at the Y. Plans are also in the development phase for a possible partnership with the University of Memphis to connect grad students with the program in an internship program. The Cordova Civitan Club is excited to have been able to help start this fantastic and dynamic program at the Cordova YMCA and we look forward to an ongoing partnership with the YMCA.